Welcome to a new yet familiar vision of Hyrule. 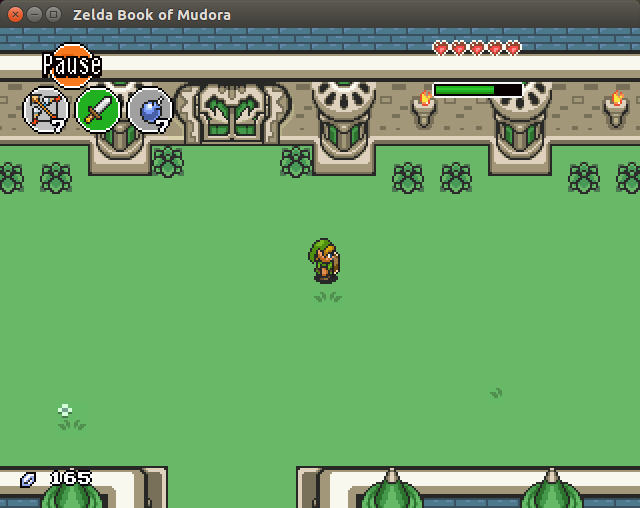 Book of Mudora uses the tried and true overhead control and presentation of Link to the Past. Don’t let that fool you, though - it boasts a plentiful amount of custom sprite and art work. You start out as Link , a young boy in a sheltered village, during a festival. As the game gives you a quick tutorial on the basics, you learn that all is not so hunky-dory in the land of Hyrule. Your village has been protected by an entity - an entity that now needs your help to stop the coming darkness. There are several factions: Gerudo, Lizardmen, Dekus, etc. Each are having their own troubles caused in some way by the coming evil. Tensions are high as each struggle to survive and adapt. Link can influence the outcomes of each through quests throughout the course of the game. While the dungeons may seem a bit easy, the overworld is nothing to scoff at. It’s massive. You are not given a direction to head towards. It’s very reminiscent of the original Legend of Zelda. In the end, I enjoyed the time I put into the game. I only stopped due to a bug which somewhat impeded my progress but no one else has been able to replicate it. The creator is looking for any suggestions and bug reports. 1. How long have you been working on Book of Mudora? I've lost count of how many years I've been working on Book of Mudora (BoM)! In the current iteration (Solarus engine) I believe it's been about 4 years. Before that, a Game Maker version existed, and before that it was only on paper and in my head. 2. 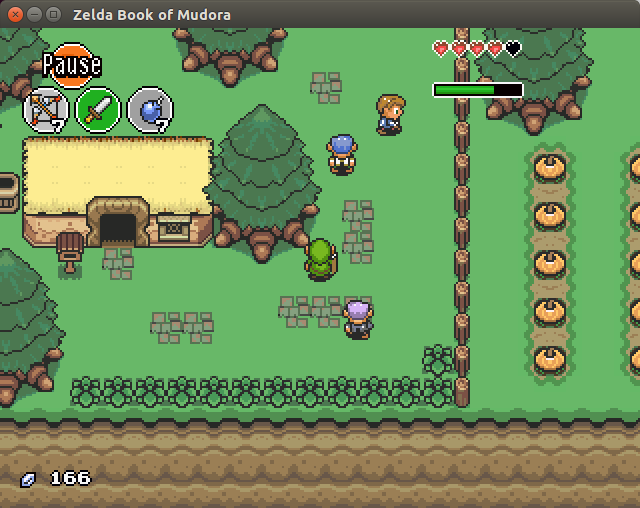 The game world feels massive for a 2D overhead Zelda game. Was this a necessity for Book of Mudora? The massive world wasn't so much a necessity as it was my having too much fun with mapping a large world! Quite a bit of space is needed for everything I wanted to include in the game, but I probably got out of hand. 3. On the same subject about massiveness, there seems to be a lot going on in your game with factions and the story in general. I was a bit confused, so could you elaborate on what is happening in your vision of Hyrule? I haven't spent a lot of time writing a cohesive story into the game. Currently it's told through the NPCs in the various races, but in the future I'd like to find a unique way to summarize what's going on in the world (without an intro dialog sequence). Essentially the Book of Mudora helps to hold together the world of Hyrule - it's a magical artifact that's been around since the beginning of time, magically recording the history of the land. Once it's broken apart, it breaks apart the cohesiveness of Hyrule as well, leading to small civil wars or arguments between various races. Link's job is to bring together the book, stop the people who broke it up in the first place, and return peace to the land. 4. What gave you the idea(s) for Book of Mudora? I don't recall where the idea originally came from. Probably the same way a lot of random ideas come about in my life - my brother and I sitting around, talking about nerdy things, and asking "You know what would be cool?" The lack of hand-holding (as I prefer to call it) is very much by design. I wanted a game that hearkened back to the early series and forced the player to explore. As you point out in several of your questions, I have some work to do to find that balance between large open world and lack of direction. 6. Are you open to suggestions at all on your project? As far as my two cents are concerned, I would look into different choice in music for the first dungeon(too happy) and perhaps "shrink" the game down a bit as it appeared quite large for the 45 minutes I put into it thus far. Now, I can tell quite a bit of work has gone into this project, so I am not trying to step on your toes. That said, I am interested to know if you are interested in any suggestions that you may get about your project, regardless if from myself or the community. I am VERY open to suggestions. In fact, at this point in development suggestions are the most important thing. The game has really only been played by about four people up to now (one of which being me). As far as the world size, it will not be possible to physically shrink it, that would just take too much work. All the maps are completed and interconnected, the world map is created, and various side quests and such are dependent on what's in place. What I am looking for is suggestions on how to make the world FEEL less large (read: empty at times) and confusing to navigate. I've attempted to implement my own measures, but I'm sure they don't go far enough! 7. 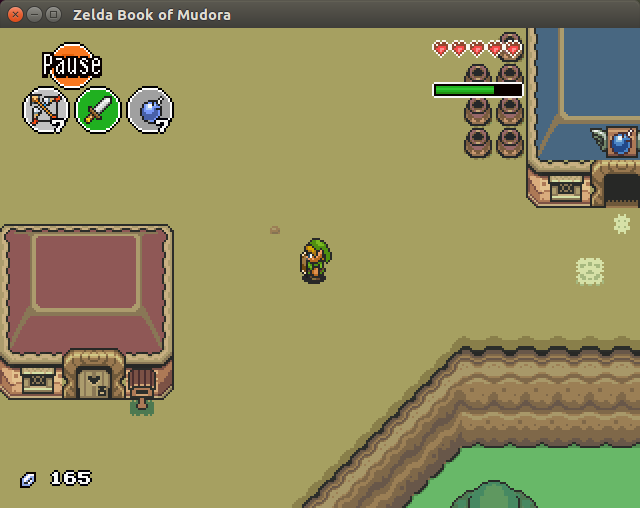 Switching gears here: What made you decide to use SDL2 and the Solaris engine for Book of Mudora? Have you had any difficulties in getting your ideas to fruition using SDL2 and Solaris? As I mentioned before, the very first iteration of BoM was developed with Game Maker. That program allowed me to flesh out my initial ideas and get them into a working game, but I soon found that there was too much I wouldn't be able to do with that engine. So, I happened across Solarus when it was in early development. 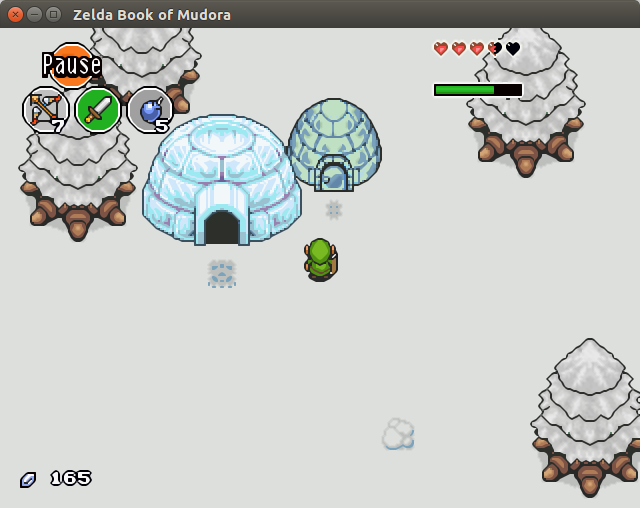 It was being created by a fellow game maker as a way to port one of his Zelda games to a more capable engine - exactly what I was looking to do! The engine has gone through a lot of changes (all for the better) since I've started using it, and I've had to re-write some parts of the game a couple of times, but it's all been worth it. Solarus was built from the ground-up to create Zelda-like games, and it definitely delivers. What little I can't do with Solarus currently will be written into a future version, because the developer really cares about what his users need. Also, with scripts being written in Lua, I can usually create my own capabilities where the engine may be lacking. Finally, being based on SDL2 allows the engine and game to be ported to multiple platforms, which was important to me. 8. I'd like to close this out with looking toward the future. Where do you see your project headed in the coming months? I did read your topic on the forums. You said most features are in the game. So, I guess a better question might be: where does your project currently stand and what are your plans for the future? This page was last modified on 5 July 2015, at 22:25. This page has been accessed 9,441 times.